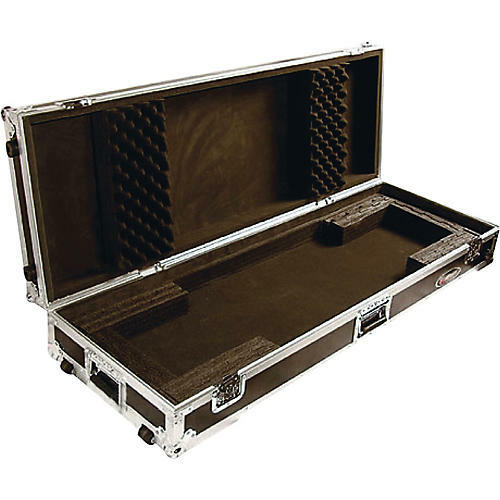 Odyssey's super rugged FZKB76W keyboard case is ATA approved and fits most 76-note keyboards. It features heavy-duty hardware and interlocking memory foam on the interior, making it customizable for your keyboard. The keyboard case includes a spring-loaded handle and wheels for easy transport. Interior height: 4" bottom base plus 3" top lid for a total of 7" interior height.